If someone tells you to imagine a modern Jaguar, there's a good chance you'll picture the sleek 2-door profile of a 2015 Jaguar XK. 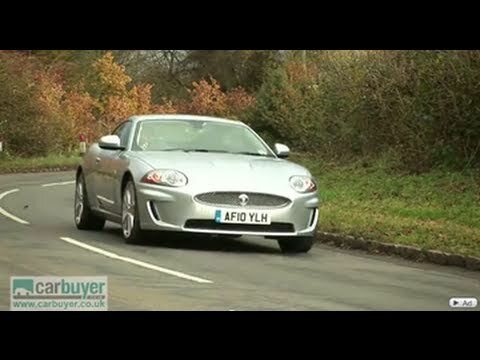 With models ranging from the luxurious XK to the tire-roasting, 500-plus horsepower XKR and XKR-S, there are few cars with the curbside cachet of the unmistakably British Jaguar XK coupe or convertible. If the recommended pressure for the spare tire is not provided, the tire may not be properly inflated which may result in its failure, increasing the risk of a crash. Jaguar will notify owners, and dealers will inspect the vehicles and, as necessary, attach a corrected tire placard label stating the tire size and pressure, free of charge. The recall began on August 29, 2014. Owners may contact Jaguar customer service at 1-800-452-4827. Jaguar's number for this recall is J041. If the parking lamps turn off, the vehicle will have reduced conspicuity, increasing the risk of a crash. Jaguar will notify owners, and dealers will update software that controls the front side lamps, free of charge. The recall began March 5, 2015. Owners may contact Jaguar customer service at 1-800-452-4827. Jaguar's number for this recall is J049.